This beautifully constructed pedestal table and chair set will become an immediate focal point in any dining room space. The antique finish of the wood gives it a rustic cottage feel, along with the intricate design work of the pedestal base. The table top boasts a more modern appearance, lending itself to the overall transitional look of this table. An 18 inch leaf makes it easier to accommodate more people in your dining space, adding to the functionality of this visually stunning piece. The elegant wooden chairs complete the look of this set with an additional touch of sophisticated cottage style. The Magnolia Manor Dining Traditional Five Piece Chair and Table Set by Liberty Furniture at Miskelly Furniture in the Jackson, Pearl, Madison, Ridgeland, Flowood Mississippi area. Product availability may vary. Contact us for the most current availability on this product. The Magnolia Manor Dining collection is a great option if you are looking for furniture in the Jackson, Pearl, Madison, Ridgeland, Flowood Mississippi area. 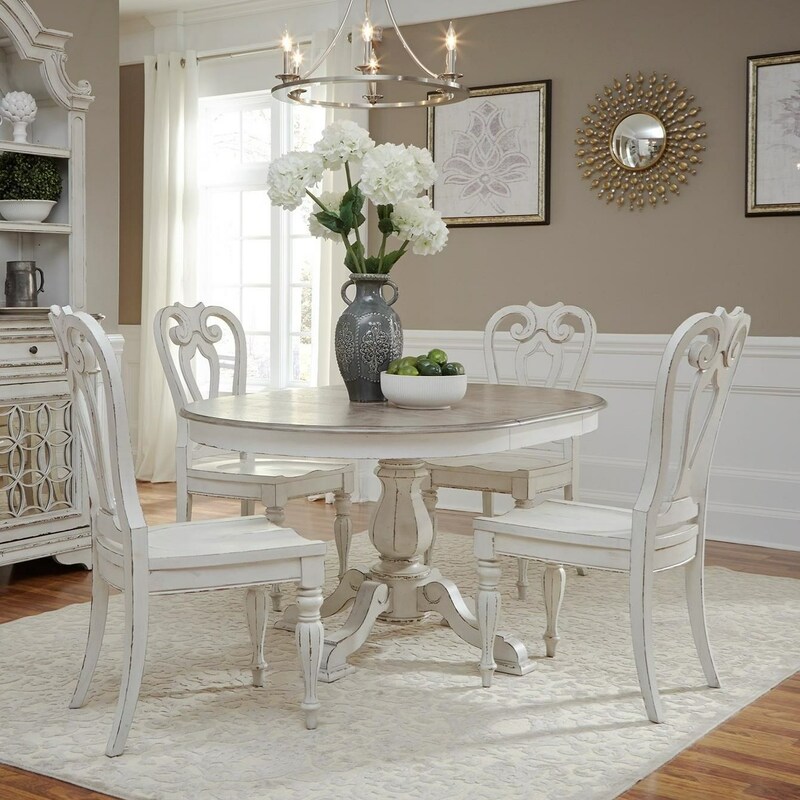 Browse other items in the Magnolia Manor Dining collection from Miskelly Furniture in the Jackson, Pearl, Madison, Ridgeland, Flowood Mississippi area.